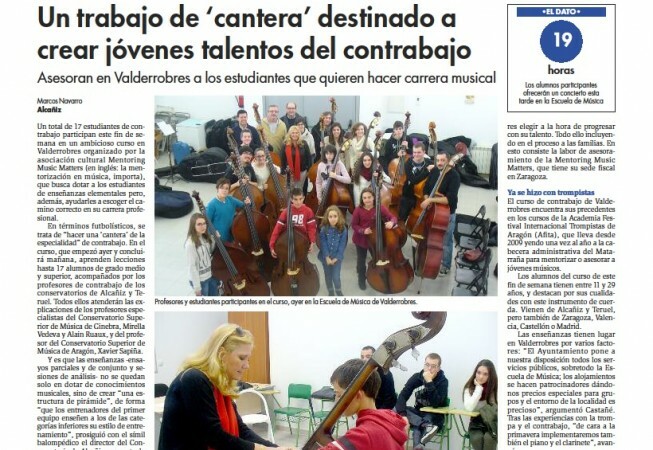 On December 21, 2013 was held the First Double Bass Course in Valderrobres who has been included part of Mentoring Music Matters’s project (MMM ). At this meeting was developed a number of musical activities that took place in the town of Valderrobres . During this meeting , each of the attendees to the different modalities faced a work program , supervised by specialist teachers of the Conservatories of Geneva ( Mirella Vedeva and Alain Ruaux ) and Aragon (Xavier Sapiña ) , they intended to deepen the study of their instrument through musical repertoire, through partial and ensemble rehearsal , as well as analysis and information sessions on the works worked. 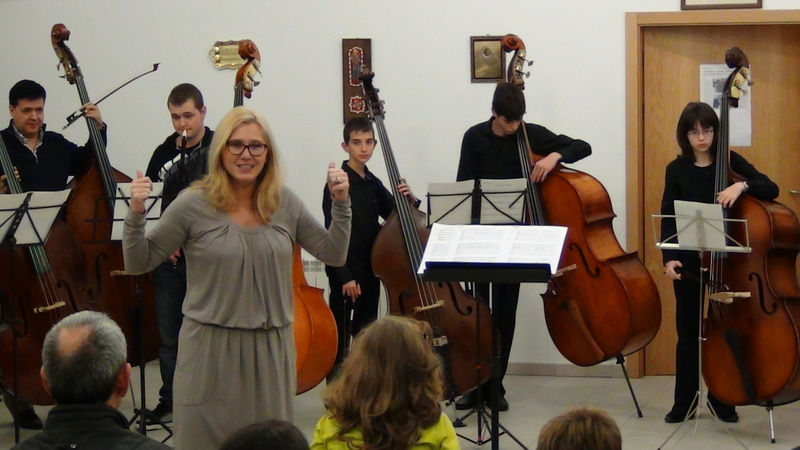 The said meeting included a public performance held as the closing event of the course at the Municipal school of Music Valderrobres. 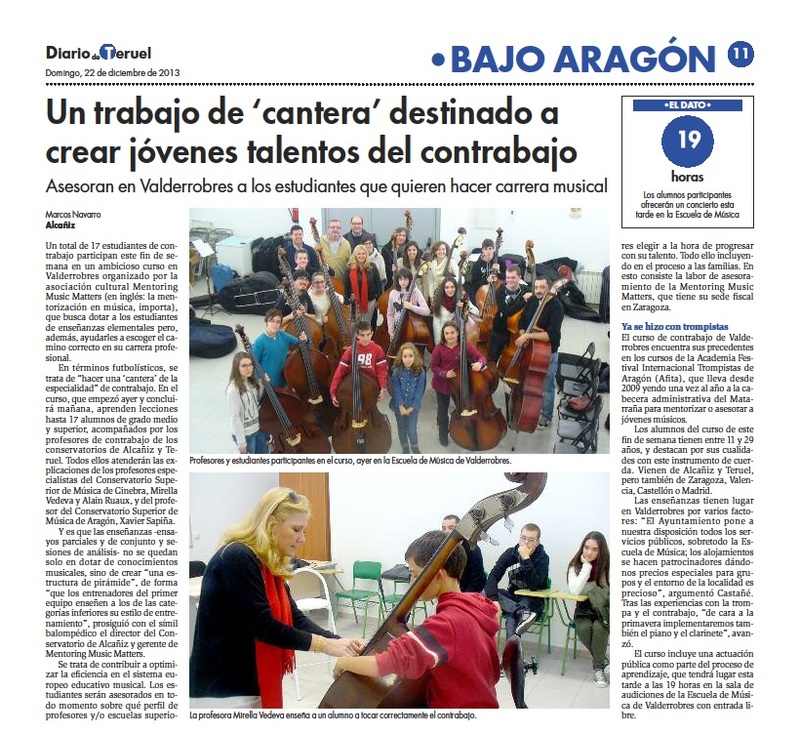 The course was attended by a total of 17 bassists of Alcaniz, Teruel, Zaragoza, Madrid ….